This is the first part of a series of posts on Leading and Guiding Groups. In the series we'll be walking through the tools and techniques I've found that have helped me build teams and direct groups successfully. 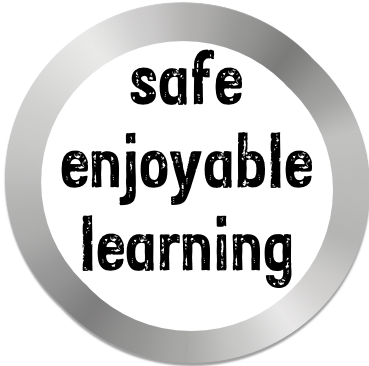 As a coach or leader the most important thing that you can do is to create a safe space for enjoyable learning and working. Hold your team and teach them to support each other. They will learn, create and grow. On the water I could see how people functioned differently when they were out of their safe environment. Their behaviour and choices changed, and their ability to apply their skills and learnings fell: regressing to basic skills and easy-to-avoid mistakes. I could see how trust played a part in teaching kayaking groups, but how did it apply to a work environment? The management of the space that people work and learn in can have a significant effect on people's performance and growth. This is particularly important for any team that is expected to learn and adapt. When I see odd behaviours or a team that isn’t working, I ask: do the people feel safe? Is there space for them to relax, and enjoy doing great work and learning? What could be making them feel unsafe, and what can I do to fix it? Maslow’s hierarchy (a view on human needs) puts safety right at the foundations of what a human needs to succeed. If we consider the higher levels as a definition of enjoyment, we can draw parallels back to what makes someone learn and achieve. 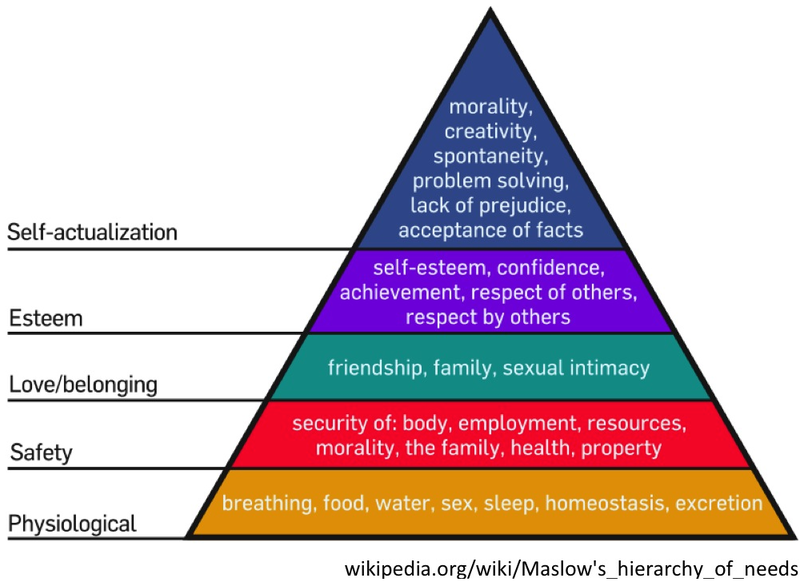 Though Maslow’s diagram didn’t come from rigorous scientific study (he studied a set of people he considered exemplary). It’s been found a useful way to look at why people generally do what they do (in western societies, at least). Maslow suggested that a person deprived of the lower-level needs is less likely to strive to solve the challenges of achieving their potential. Whether humans have a fixed hierarchy of needs; it’s generally acknowledged that humans do have needs and when not met can lead to dysfunction. The trust relationship between a leader and their team is a complex one. If you remove safety and enjoyment from their environment you are likely to loose trust. Managing that is one of your jobs. It's the first thing I look for when I arrive to work with a new team: are they safe, as a team and individually? What do they need to continue to be safe with change happening? Are they, and can they manage their own safety? In one-to-one coaching, I wouldn’t expect to influence a client’s surrounding environment as much as when I was coaching or leading in a team environment. I’d still be carefully considering the space that we share and the space they work in: people don’t listen until they are ready. I might challenge them to consider their working environment and the effect that has – and to start effecting change themselves. A way of looking at how a group manages its safety is ‘Holding’ – I was introduced to this concept in Group and Team Coaching by Christine Thornton. A leader or coach may ‘hold’ the group, providing the safety they need to grow and adapt, but the best teams support each other and manage their own safety. As a coach and leader I want my teams and people to grow to independence. Part of the commitment of Holding is also Release. Showing and letting people grow into their space, to manage themselves and their safety, as well as to support others. Part of this is changing your expectations and interactions, and growing towards delegation, all of which we’ll come back to shortly. Next we look at managing our ability to code, and working in the adventure zone.